Hello, Moto! 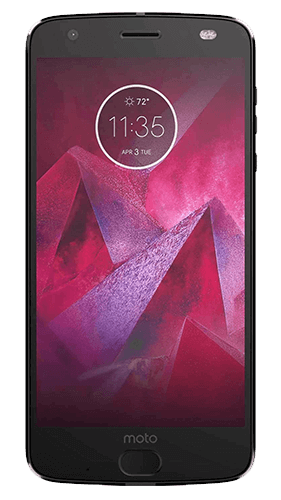 Motorola is one of the most sought-after brands in smartphones and related devices on today’s market. This company produced the very first mobile phone and has remained one of the biggest names in this business for decades. For over 80 years, Motorola has striven to produce the newest, edgiest technology, making it a favorite among millenials. Motorola devices run on Android operating systems, so they can more easily interact with other products. Think you can’t sell a locked phone? Think again! Unlocked phones will get you a higher trade-in rate, but locked phones can have you raking in the cash as well. The carriers listed below are the most easily accepted. If your phone doesn’t run on any of these carriers, please select the “other” option in the carrier list. AT&T, Verizon, T-Mobile, Sprint, Metro PCS, Boost Mobile and many more. Have a Motorola phone to sell? Awesome! BankMyCell accepts most Motorola devices. Our trade-in service enables you to sell back nearly any Motorola phone, regardless of age or level of wear and tear. Check out our price comparison tool now to find out how much your Motorola is worth! Sell Your Broken Motorola Cell Phone? New, like new, old, broken: we want them all! We have a large customer base that looks for broken phones, so an old phone could sell just as well as a newer one. The more damaged a phone is, the lower price you will get for it, but even our lower prices are still very high. If you are selling a broken phone, select ‘Broken’ in the ‘Condition’ category to see what you can get for it. It’s as simple as that!